Seemorerocks: Geoengineering in the present, future - and past? "The Harvard experiment may fly in the face of a moratorium on geoengineering adopted in 2010 by the United Nations Convention on Biological Diversity, which was reaffirmed in December in Mexico. The United States is one of the few countries to not ratify the UN convention, creating a potential loophole for experiments." This is one of the multitude of mad cap outcomes of runaway abrupt climate change I'm dreading. We've destroyed the biosphere, this will make it worse according to the referee journal literature. I suspect they will choose the nuclear winter option. “Clearly parts of the Trump administration are very willing to open the door to reckless schemes like David Keith’s, and may well have quietly given the nod to open-air experiments,” said Silvia Riberio, with technology watchdog ETC Group. Fear of solar geoengineering is entirely healthy. Its mere prospect might be hyped by fossil fuel interests to thwart emissions cuts. It could be used by one or a few nations in a way that’s harmful to many. There might be some yet undiscovered risk making the technology much less effective in reality than the largely positive story told by computer models. Yet that healthy fear can distort discussion in unhealthy ways. A reader glancing at recent coverage in the Guardian, especially a piece by Martin Lukacs, might assume we were capitalistic tools of Donald Trump, eager to geoengineer the planet, democracy and justice be damned. I was alerted to this talk by progressive journalist and feminist, Naomi Wolf in which she talks about geoengineering. She reveals a geoengineering program that, it turns out, is very real. By fudging this with a putative geoengineering program (“chemtrails”) has she put on her tin foil hat? When I searched for SCOPEX this is what I found. Frank Keutsch, David Keith, John Dykema, and Lizzie Burns, all Harvard Professors. Burns and Keith head the Harvard Solar Geoengineering Research Program. The Stratospheric Controlled Perturbation Experiment (SCoPEx) is a planned experiment in a form of geoengineering known as Solar Radiation Management (SRM). SRM techniques aim to block or reflect sunlight before it reaches the earth’s atmosphere, which would hypothetically slow down global temperature rise. 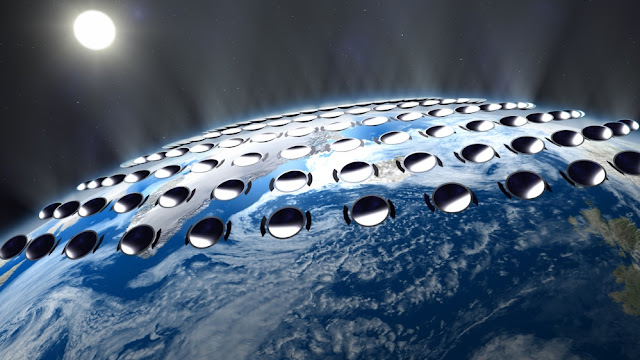 SCoPEx aims to develop a form of SRM known as Stratospheric Aerosol Injection. The SCoPEx project would spray water, finely-ground chalk and sulfur particles into the upper atmosphere from a high-altitude balloon and measure how effectively the resulting clouds block sunlight, while also tracking any effects on the air in the upper atmosphere. 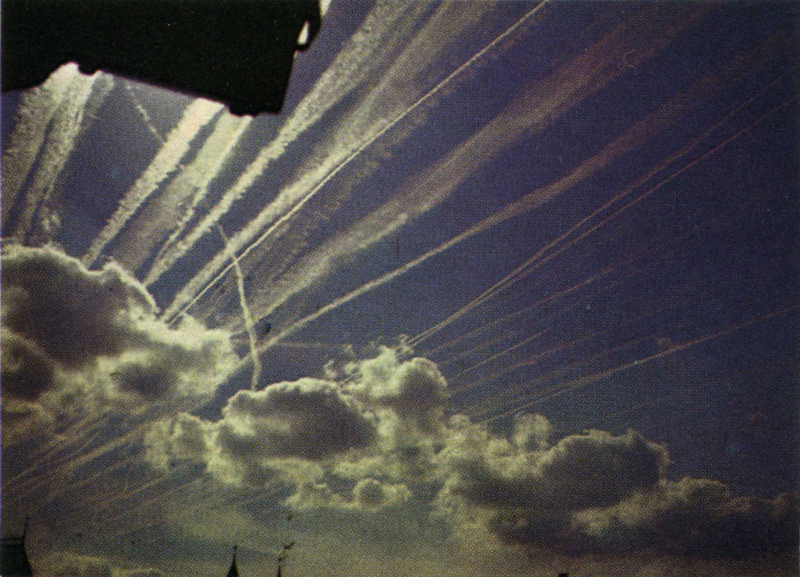 While the environmental impacts are currently unknown, the political effects of the project, however, are the most consequential: if the experiments are allowed to proceed, they would legitimize geoengineering and move us one step closer to a global sun-block and more geoengineering in the region. Funding comes from Harvard University and its Solar Geoengineering Research Program, which is funded by Bill Gates, several venture capitalists and hedge fund higher-ups, a former senior VP at Google, the Hewlett and Alfred P. Sloan foundations (among other philanthropic organizations), and a foreign policy research centre with military ties. The UN Convention on Biodiversity has passed a moratorium on ocean fertilization (2008) and on geoengineering (2010) that cover SRM and experiments like this. However, the US is not a party to the CBD. The UN Environmental Modification Convention (ENMOD) prohibits military use of weather modification technology globally. Under US Federal law (National Weather Modification Policy Act of 1976), any modification of the weather is required to be reported to the National Oceanic and Atmospheric Administration, and the results of research must be made public. The O’odham Nation, represented by a handful of tribal governments, have lived in the area around the World View Spaceport for thousands of years. The reservations where the tribal governments exercise extra-constitutional sovereignty under US law cover a vast area of southern Arizona, with traditional territories extending into Mexico. For example, the Pascua Yaqui Tribe’s offices are a 20 minute drive from the Spaceport that will be the SCoPEx staging area. While the sovereign rights of tribal governments over airspace is an emerging legal area, the Air Force and others have signed Memoranda of Understanding with the tribal governments about their use of O’odham airspace, indicating that government agencies are aware that they have some rights. One lawyer has made a persuasive case that tribal governments have sovereignty over what happens in the airspace over their lands. However, the political effects of the project are easier to predict. As governments continue to fall short of climate targets, David Keith and other geoengineers will be able to point to research findings to bolster the case for larger geoengineering experiments. However, these are not dispassionate scientists, but entrepreneurs backed by venture capitalists who stand to become fabulously wealthy if governments should opt to move forward with an SRM project in the future. If SCoPEx moves forward, it will contribute to entrenching technology, capital and public relations power of geoengineering and divert resources away from real climate solutions. 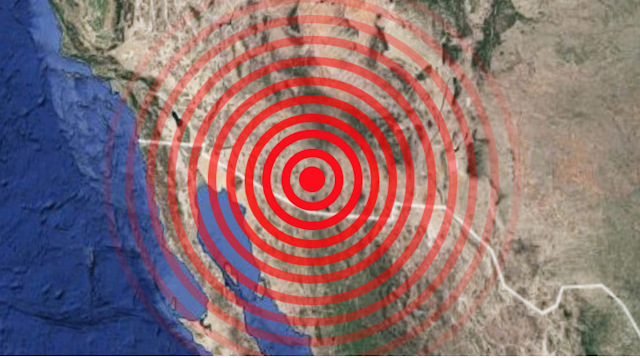 David Keith, among others, has proposed a suite of field experiments, some to test the effectiveness and risks of geoengineering and others to develop technologies for larger-scale deployment. The closest to execution is SCoPEx. This experiment would try to understand the microphysics of introducing particles into the stratosphere to better estimate the efficacy of different materials to reflect sunlight as part of an effort to develop SRM techniques. They first plan to spray water molecules into the stratosphere from a balloon 20km above the earth, to create a massive icy plume to be studied from the flight balloon. They then aim to replicate it with limestone or calcium carbonate, followed by sulphates. In 2012, news broke that David Keith and Harvard engineer James Anderson were planning the first outdoor experiment in solar geoengineering. This would have involved the release of particles into the atmosphere from a balloon flying 80,000 feet over Fort Sumner, New Mexico. Their stated aim was to measure how releasing sulfate would impact ozone chemistry, and to test ways to make the aerosols the appropriate size. After media revealed Keith’s own experiment, it too was cancelled, and Keith shifted energies to a new incarnation of the project. In early 2017, he helped launch Harvard’s Solar Geoengineering Research Program, backed by several million in funding by billionaires and private foundations. Now, Keith is covering his bases politically: he claims the amounts of particles released will be small, and in an attempt to win support among civil society, the project says it will have an independent advisory process for the experiments. This is in keeping with what constitutes a problem with all small-scale experiments like this: the slow and careful accumulation of mainstream legitimacy for large-scale experiments in solar geoengineering in the media, scientific bodies, and institutions of governance, both regionally and globally—ultimately leading toward full deployment. William and Flora Hewlett Foundation; The Open Philanthropy Project; Pritzker Innovation Fund; The Alfred P. Sloan Foundation; VoLo Foundation; The Weatherhead Center for International Affairs; G. Leonard Baker, Jr.; Alan Eustace; Ross Garon; Bill Gates; John Rapaport; Michael Smith; Bill Trenchard. And here is an explanation from one of the engineers. One of the key figures in the program is geoengineer, David Keith who is one of the biggest advocates of geoengineering. whose views (even if discusses in the most modulated tones) gives me the creeps. Here he is, back in 2010, explaining why using aluminium in solar radiation management is preferable to sulphur. If I find David Keith ‘creepy’ then Australian, Clive Hamilton is very clear in his message as to why he thinks geoengineering is a very, very bad idea. Here he is being interviewed by Democracy Now! Luke Rudkowski has a different agenda and asks different questions from the liberal Democracy Now! Geoengineering in the past and present? What Naomi Wolf is saying (along with Dane Wigington) is that this is fake and there has been a secret program for years that encompasses attempts to mitigate rapid climate change as well as weather warfare and weather modification. To say this is controversial would be an understatement. As I have pointed out previously I am increasingly agnostic about this although my concern about it distracting from the very real rapid, global warming leading to catastrophic climate change. However, as I have stated I am dead against reductionism and ‘either-or’ dichotomous thinking. It does not take much imagination for those that have a deeper understanding of how the world actually works to come to the conclusion that something could be happening and it will have covered up. On the other side of the coin someone has put together a collection of photographs from the past that would indicate that contrails have always lingered. One of the ways I have of determining where truth might lie amidst all the contradicttory information (and disinformation) is to listen to the subject being debated and looking at the quality of argument from both sides. What part of the sky has not been afflicted by geoengineering using high sulphate jet fuel for the past ten years. This past February, in the area I live in, in central BC, is the first time I have seen such a clear blue sky with ordinary, disappearing, contrails for well over five years. The result: clear, cold nights...the coldest February since 1949. Sulfur dioxide has a net effect of warming the earth. Could the AGW skeptics be right? Are we in a global cooling cycle? Are the sociopaths trying to fight the cooling effect with high sulfur jet fuel? Why the clean fuel in Feb 2019?...were they checking their results? If we are in a cooling cycle, wouldn't it be true social justice to warn the population about it rather than fleece them through fear mongering and taxing about an essential gas (CO2) for all life on earth?